Based on JB2603-94 design standard, underslung crane is a kind of light weight overhead rail crane equipped with CD1 or MD1 electric hoist. 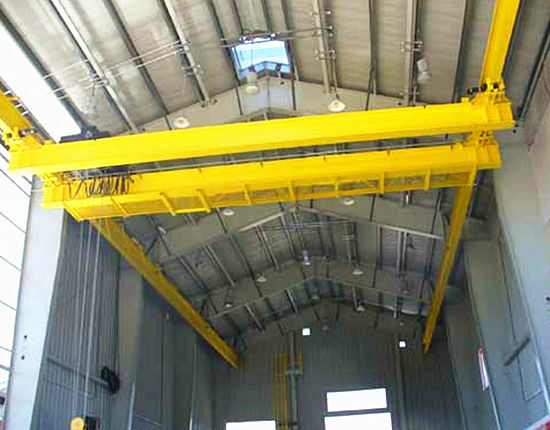 The common type of underhung crane we produce is LX type single girder overhead crane, widely used for loading and unloading goods in warehouse, workshop and stockyard, particularly suitable for occasions where the workshop is not high enough. 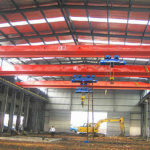 This crane also saves the steel structure such as columns. The underhung cranes are forbidden to work in flammable, explosive and corrosive environment. 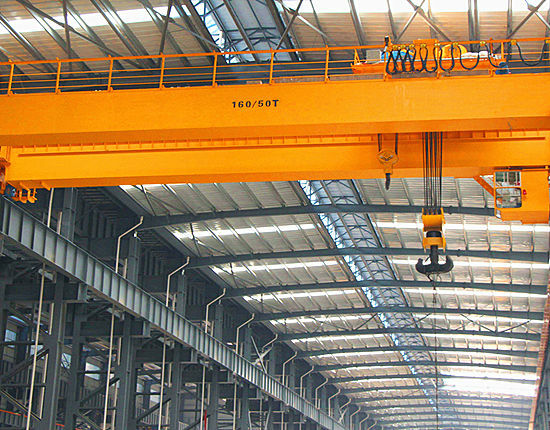 Compared with LD type overhead crane, it has no need for vertical columns and has the possibility to reach a higher lifting height. Besides, the lifting device can reach the end of the beam so as to get closer to the wall. 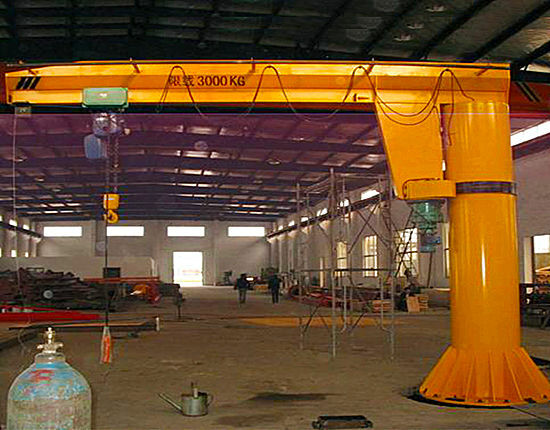 This single girder underslung crane has a small lifting capacity, usually ranging from 0.5 to 10 ton. 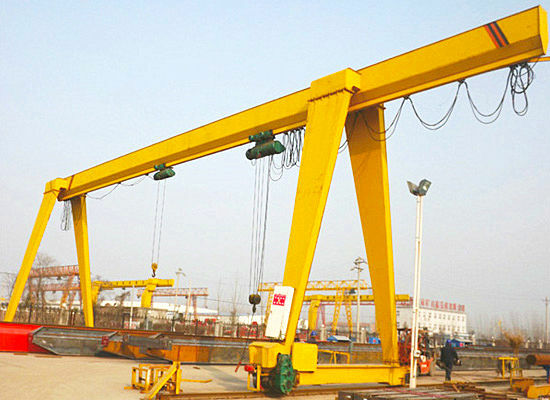 If the client has specific requirement for underslung crane specification, custom design and manufacturing are also provided. 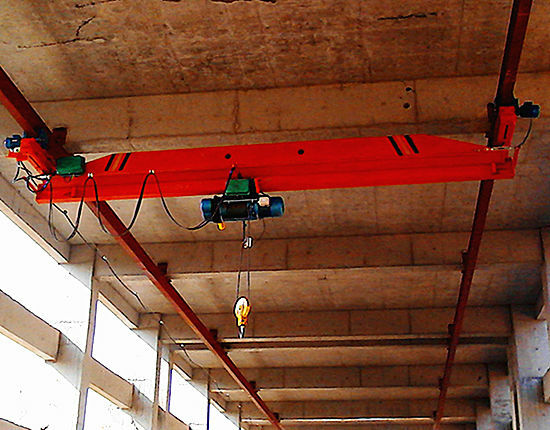 The LX type single girder underhung crane is very popular in the market for its practical and economical advantages. 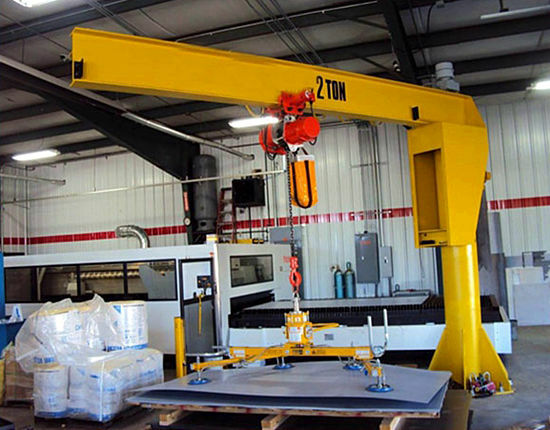 The LX type overhead crane is manufactured with steel I-beam or flange beam so as to improve the structural rigidity and service life of the crane. The under running wheels adopt forged steel. The hook can reach the cantilever so that the lifting space is increased. The adoption of step-less speed control of trolley running helps to remove the swaying of lifting goods and improve the accuracy of positioning. The crane adopts modular design and the components have high interchangeability. According to the span of the crane, the wheel pressure can be precisely figured out to ensure optimal performance. The electrical components are chosen from world famous brand Schneider, and contactors with large capacity are used. 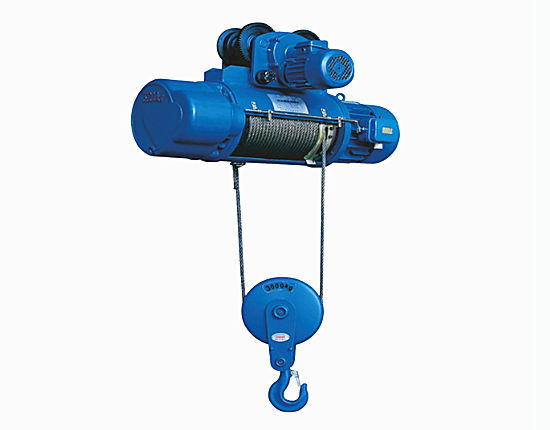 The maximum lifting weight can be limited by the electronic overload switch installed on the wire rope suspension device. 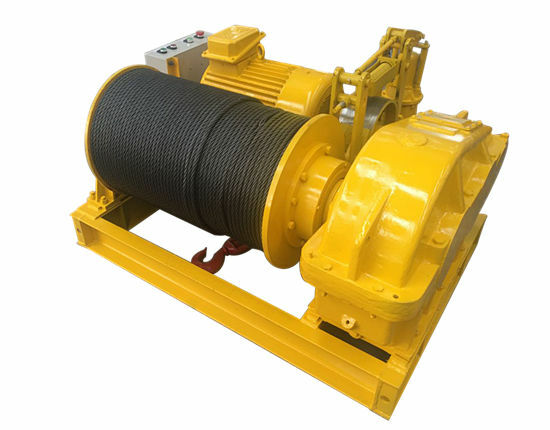 The brake adopts an automatic changeover device with high-pressure start-up and low-pressure operation, which can realize the quick synchronous starting and braking between the brake and drive device. 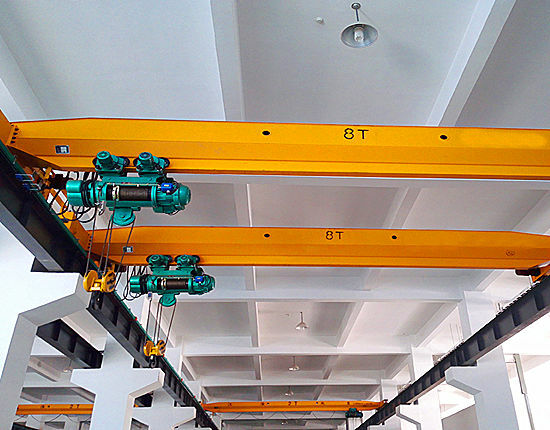 The structure of motorized underhung overhead crane is similar with that of ordinary overhead crane, but it requires small lifting capacity, small span and low lifting speed. 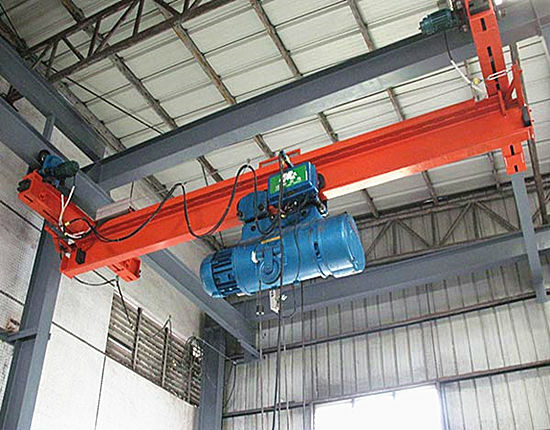 The underslung crane mainly consists of main beam, end beam, hoist trolley and electric control system. 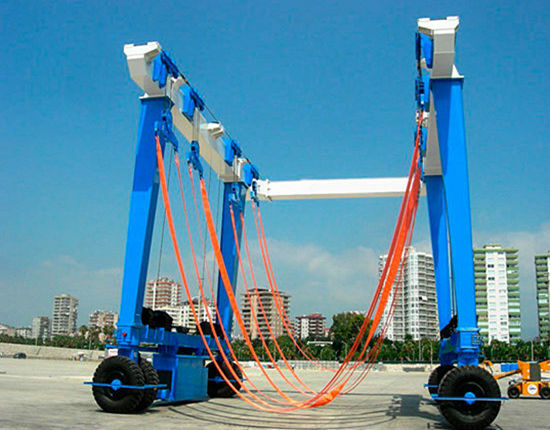 The main beam is a simple cross-section beam composed of I-beam and sheet steel; the electric hoist or chain hoist is equipped with a simple trolley to form a hoist trolley as the lifting device, and the trolley usually runs on the lower flange of the I-beam; the crane running is under the track; the electric control system sets several protection systems to ensure safety. 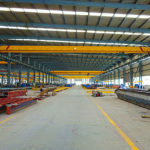 This type of overhead crane has simple structure, low cost, and low requirement for the workshop space, which lead to popularity among customers. The motorized underslung overhead crane is usually controlled and operated in two ways: pendant control and wireless remote control. The pendant control enables the operator to keep a close eye on the loads when they are moving, while wireless remote control allows the operator to keep away from the loads for the sake of safety. Which operation method to choose depends upon customer’s requirement, the types of loads, etc. There are some important tips for the operator when using the crane. The operator should be professionally trained before going to his post, and strictly comply with the operation procedures. If the operator is not clear with the goods weight, the goods shouldn’t be loaded. In addition, overload or oblique lifting is not allowed. The operator should regularly check the condition of every part of the crane, and if there are abnormal problems, measures should be taken immediately to ensure safety operation. 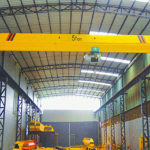 Over the years, our company has been engaged in manufacturing overhead crane, gantry crane, jib crane, electric hoist, winch products, transfer cart and travel lifts, and our products have been exported to more than 80 countries and regions including the South America, the North America, the South Africa, the Middle East, Australia, Asia and Europe. Here are some reasons why you should choose Ellsen. Since the establishment of the company, we have formed a comprehensive system integrating R&D, manufacturing, sales, installation, and service. As a leading manufacturer in China with over ten years’ development, we have a professional technical team to provide perfect solution and custom solution. We have formed a perfect quality assurance system to strictly follow the design standard and quality control, which makes it possible to produce high quality products. Besides, we have obtained ISO certificate and CE certificate to prove our qualification. Our company has introduced advanced processing equipment and welding equipment to build several large automated production lines, which helps to maintain a perfect and stable quality level. We also keep learning advanced technology at home and abroad to promote our strength. 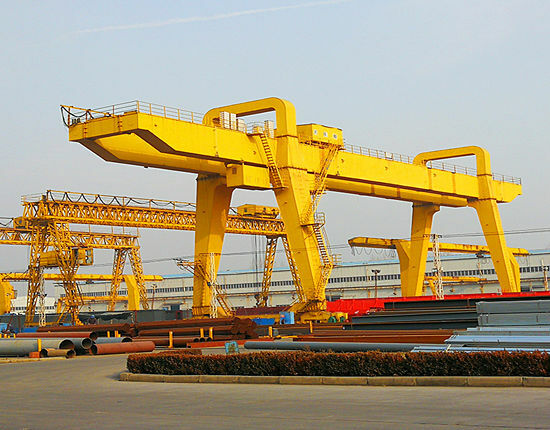 Except for the underslung crane specification we provide, we also offer customized underhung crane based on your need, so if you are interested in our product, please feel free to contact us!